M. Night Shymalan and TNT‘s Tales From the Crypt Season 1 is scheduled to release in the fourth quarter of 2017 as revealed by TNT and TBS President Kevin Reilly. I cannot wait to see the new format with shorts. 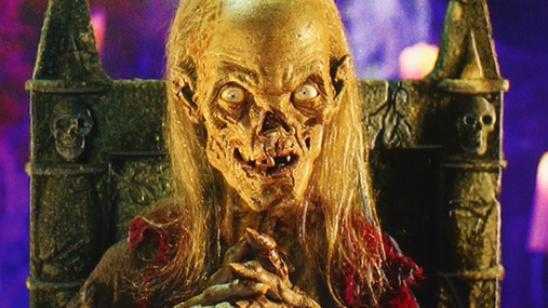 We will not get to see The Cryptkeeper puppet however because of ownership issues (may be sorted out in time) so the shorts will not feature something as entertaining as that beloved character, he was a real highlight of the previous TV series. SlashFilm, interviewed TNT and TBS President Kevin Reilly, and he divulged in a few tidbits of information. I think it may even be longer than an hour. There’s going to be a half-hour anthology and then a one-hour original show with some shorts in between. So it’s part of a whole block. The original half-hour, sort of slightly comedic, kind of twisted [story] that Night [M. Night Shyamalan] himself is going to direct will be a part of it every week. Then we’re going to have rotating original one-hours. Then we’ve got shorts that’ll be part of it too. Some of those shorts are going to be crowdsourced ultimately. I don’t even think we’ve announced this yet but we are working with Wattpad and ultimately I’d like some material to come from [from viewers]. We have some Guild issues we need to work out on this, but I’d like fan fiction to essentially make its way to our air. The rights on this are just a disaster. It’s been a mess trying to sort out. There are so many people that seem to have an ownership position on this. So yeah, that’s both a creative and legal thing.